If you are facing any sort of trouble with Pradhan Mantri Awas Yojana or PMAY, then you can contact the officials directly. Several types of information are available on the website. But in case your issues are not addressed via the web portal, you can contact them via other means. Below is the list of the methods with which you can contact PMAY customer care and officials. Toll free number: You can reach PM Awas Yojana officials or just ask your queries at the toll free number 1800-11-6446 (Gramin) , 1800-11-3377 (Urban,NHB) , 1800-11-3388 (Urban,NHB) and 1800-11-6163 (Urban, HUDCO). This is a customer care number, this means that if there is a delay in your subsidy arrangement, or if you have any sort of issue related to the scheme, then you can call this number. Official Website: You can also visit the official website to check the details. This site contains all the information about the latest developments in the scheme. PMAY App: The AwaasApp is the official app of PMAY. It launched on 2nd April, 2017. You can click on the “beneficiary login” and then access all the details related to your accounts. To use the app you need a smartphone with Android 4.0 and up. Alternatively you can download the app named “Pradhan Mantri Awas Yojana” on Google Play Store. Who is supervised the scheme? 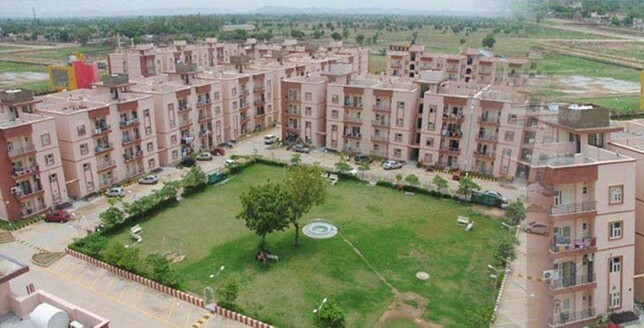 The PMAY is a scheme that is supervised by individual housing supervisors appointed by the government of India. The central government is implementing these schemes but it is also being put in place by the state governments. This is why the state officials will elect the supervisors in their respective locations. Which Type of help they provide? The PMAY will assist with rehabilitation of the slum dwellers that still do not have pucca houses over their heads. It will also help with affordable housing partnership and help you get houses in cheaper rates. This means that via the credit linked subsidy scheme you will get loans from banks at a lower (only 6% compared to usual 10%) interest rate. Also the period of clearing your dues is relaxed. This will also help in empowering the womenfolk because they will have houses under their own names. It will be a thoroughly centrally Sponsored Scheme. If we have the house under PMAY , should we have the right too have the proper facilities and get the good QUALITY of the materials used in the house ? If it isn’t used then what can we do ? Bothered ? Or Worried ? Or tollrate ? May be some mistakes in writing. .. But What should be done ? I Mrs.Swara Rahul Vaity. 1st time home buyer. not get any subsidy. we purchase flat in april-2017. but not received subsidy till date. Could you please tell me if i am fit in above criteria. If you are only considering carpet area that excludes terrace, balcony, dry terrace then it will never go above 60 sq.ft for 2 bhk flat. And no one can avail such PMAY yojana whose income above 6 lacs. Is it necessary to have a female name in the property as a owner or co-owner? I have a plot which I purchased 2 years ago, but I have not included female members in the plot ownership registery, so is it possible for me to apply for loan in this pmay scheme, please someone help me. I have already purchased a flat in Feb 2017 through housing loan from PNB But I have not availed the PMAY scheme subsidy. Can i apply for the same now if all the eligibilities are o.k. I AM FACING A PROBLEM IN FILLING PMAY ONLINE FORM.THE DISTRICT LIST WHERE WE HAVE TO CHOOSE THE DISTRICT IS TOTALLY BLANK . CAN YOU PLEASE HELP ME? please call the helpline number mentioned in this article. MENE 2017 ME GHAR KHARIDA PAR ABHI TAK MERI SUBSIDY INHI AYI OR BANK WALE BOLE APKE FORM REJECT HO GAYE H VAPAS SE BHARNA PADEGA. Sir…I am.trying to call helpline number but they do not pick..how can I contact helpline? Sir Maine ek makan may 2017 purchase kiya tha. us per muje pradhan mantri awas yojna ki scheme ka fayada hoga. Maine abhi tak koi form nahi fill kiya hai. kya muje kerna chaye kuch fayda milega. If we have recently bought our first home in jan 2018 on home loan and we fall under MIG2 group then can we apply for pradhan mantri avas youjna subsidy ??? If yes then what is the procedure? yes you can apply. please talk to your bank and they will help you with this. i have purchased an underconstruction house in karjat with loan approved from axis bank , i have applied for the PMAY scheme 2 times for this but could not get the scheme, could you help me how do i get this. I am Shivgovind Singh. 1st time home buyer not get any subsidy. we purchase flat in Jan-2018. but not received subsidy till date. kindly provide the consult person contact number. My name is Lalit Gupta. I purchased home in fab-2016, but not get any subsidy till date. I am trying to call helpline number but they do not pick, how can I contact helpline? kindly provide the consult person contact number. My son has purchased 1570 sq. Feet flat in may, 2016. Can he is eligible for PMAY. His income falls within 10 lakhs. Somebody is saying that purchased in 2016, is not eligible. Please sir give me response and answer my question. This has reference to my home loan account no. 629147103,from HDFC HOME LOAN. I have got 1.05 lac in place of 2.33 lac. Pl. elaborate the reason of getting less Subsidy. An early action is highly appreciated. MY First Home Loan Bank (Axis Bank) is saying that when I take home loan that Time Scheme is not launched hence I am not eligible . My II home loan Bank( Indibulls ) is saying that Since I have 2 loan account Hence I am not eligible. Will I be able to get this Benifit or Not ? Please revert us on as soon as possible. I have purchase new property first time on my name but my father has one property with his name and me as co-Applicant on my father’s property. I have claim for Prashan Mantri Awas Yojna scheme. So can I get benefit of PMAY to purchase my new flats. If not so can I remove my name from my Father’s property as co-Applicant? There is no home loan running on my father’s property. My name is Bhumika. I purchased Flat in April 2017, but not get any subsidy till date. I am trying to call helpline number but every time number is busy, how can I contact helpline? kindly provide the consult person contact number. It is need full so as soon as possible reply me. sir, I want to build a pacca house on my own land. the housing area is about 900sqare feet. I live in a rural area in paschim medinipur in west bengal. I am a primary teacher. can I get the subsidy under PMAY -CLSS? if I am eligible, where to be applied? I have took loan from DHFL Bank in MAY 2017, As per Bank doc submitted to NHB in 6th april APR 2018.
bank given me a reference No.CCDIS01114894. I am planning to apply 24 lack loand for 25 years via ICICI Bank. I am first time taking home loan. May i eligiable for get PMAY CLSS subsidy? I have taken a home loan of Rs. 11 Lakhs from corporation bank which was santioned on 03/02/2017 for purchase of flat measuring 455 sq feet (Carpet area including 3 balconies). My income at that time was Rs. 2.4 lakhs P.A. Al the terms & conditions or eligable criterias were unknown for the general public as well as bank officials. The bank which sanctioned my loan are still unaware of the eligible criteria of PMAY scheme as i contacted them several times i got the same answer that we still do not have any information yet. My current income is Rs. 3.12 lakhs P.A. So now i want to know whether i am eligable for PMAY subsidy scheme or not. As no one was aware of the terms & conditions & government also did not disclosed the terms & conditions at the time my loan was santioned to me. Kindly clear me whether i am eligible for PMAY subsidy or not. I have taken home loan in nov 2017 from DHFL. I requested to bank to fill my PMAY form they denied even i eligible. I July have transfer my home loan think that next bank fill the forms but they told BT customers is not eligible for that. I have full fill all the criteria. Please suggest any procedure to apply directly. Why my adhar number is accepted while online application.When it entered nothing shows .tried lot of time. I have taken home loan in 2017 itself but till now I didn’t receive any pradhan mantri awas yojna benefit. I have purchased new flat year 2017 but this time single person not add co-owner women name. i am marriage after flat purchases . iam add wife name in property co-owner. reapply PMAY i give the subsidy . 01st Property ki registry me sanshodhan hone k baad bhi mujhe pradhan mantri awas yojna ki subsidy milegi ??? This is only for political leader scheme in india and poor people not getting this . Most of the time you are not reachable is the message. Then whats the use of the scheme. I applied almost around 6 months back and the bank representatives are saying its pending for processing from your end. So you don’t have any deadline? I took home loan from SBI Pondicherry and applied for PMAY, still I didn’t get any subsidy. I checked with SBI team they are telling in Pondicherry till now there is no one got the subsidy. Is this scheme not for Pondicherry, what is the issue, I am paying tax regularly. Why this type of partiality? I Nisha Kaushik./Brijesh Kaushik 1st time home buyer. not get any subsidy. we purchase flat in april-2017. but not received subsidy till date. i have purchased flat in ulwe ,navi mumbai but i have anot appiles for pmay but now when i am trying to apply the portal is not taking my adhar no & cannot proceed further . I have Taken Home loan from ICICI Bank and Applied For PMAY Subsidy. I got Massage From Bank For Processing PMAY Survey No. SR540394987 in April 2018. and Banks Say From May 2018 that we got Approval but not get fund from Housing Board till today. Please Provide fund for my Subsidy and do needful . I have applied for PMAY subsidiary after I bought a house under my name in July 2017. I filled the form and submitted it in HDFC Bank in March’18 but haven’t receive any update till yet. My file number is 626126411. Kindly help with the above. My name is Rajesh Shirke I purchased Flat in November 2018, but not get any subsidy till date. I bough a new flat in Hyderabad and trying to apply for PMAY(no other properties registered with my name). My PMAY application rejected as my mother has owned property with her name. Is there any other way to avail the PMAY?